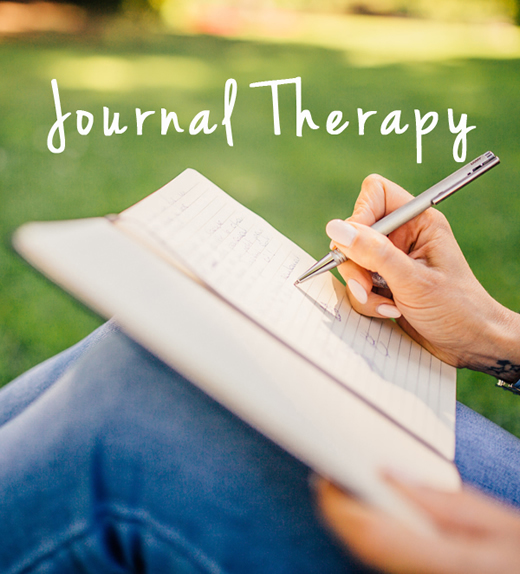 Journal therapy is the purposeful and intentional use of a written record of one’s own thoughts or feelings to further psychological healing and personal growth. It is often used as an adjunct to many psychotherapy and recovery programs. Healthcare practitioners maintain that written expression fills a very important role in the therapeutic process by providing a mechanism of emotional expression in circumstances in which interpersonal expression is not possible or viable. People have kept journals and diaries to record dreams, memories, and thoughts since ancient times. Emotional expression has also long held a central role in the study and practice of psychology. Throughout history, psychologists have advocated the expression of emotions as essential for good mental and physical health. Since the early 1980s, interest in this topic has resulted in numerous research studies investigating the health benefits of expressive writing. Journal writing produces a number of benefits in healthy people—among other things, it enhances creativity, helps cope with stress, and provides a written record of memorable life experiences. Likewise, some researchers have found that journal writing has a number of psychological and physical health benefits for people who are ill.
Aside from a reduction in physical symptoms of disease, the psychological benefits include reconciling emotional conflicts, fostering self-awareness, managing behavior, solving problems, reducing anxiety, aiding reality orientation, and increasing self-esteem. Writing therapy has been used as an effective treatment for the developmentally, medically, educationally, socially, or psychologically impaired and is practiced in mental health, rehabilitation, medical, educational, and forensic institutions. Populations of all ages, races, and ethnic backgrounds are served by writing therapy in individual, couple, family, and group therapy formats. The therapeutic use of expressive writing allows individuals to confront upsetting topics, thus alleviating the constraints or inhibitions associated with not talking about the event. The psychological drain of the inhibition is believed to cause and/or exacerbate stress-related disease processes. Researchers have found that emotional expression facilitates cognitive processing of the traumatic memory, which leads to emotional and physiological change. Specifically, written emotional expression promotes integration and understanding of the event while reducing negative emotions associated with it. Journal writing and other forms of writing therapy are based on the premise that the mind and the body are inseparably joined in the healing process. 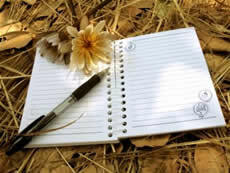 Although there are many methods of conducting journal writing therapy depending on the therapeutic technique of the psychologist or psychiatrist, the therapist often instructs the participant to write about a distressing or traumatic event or thought in one or more sessions. Although researchers are uncertain about exactly how writing about traumas produces improvements in psychological well-being, traumatic stress researchers have pointed out that ordinary memories are qualitatively different from traumatic memories. Traumatic memories are more emotional and perceptual in nature. The memory is stored as a sensory perception, obsessional thought, or behavioral reenactment. It is associated with persistent, intrusive, and distressing symptoms, avoidance, and intense anxiety that results in observed psychological and biological dysfunction. Thus, one goal in treating traumatic memories is to find a means of processing them. A narrative that becomes more focused and coherent over a number of writing sessions is often associated with increased improvement, according to several research studies. The memories become deconditioned and restructured into a personal, integrated narrative. Changes in psychological well-being after writing therapy may result from cognitive shifts about the trauma either during or after the writing process. In a health care setting, the participant often prepares for journal writing by receiving (from the therapist) a set of instructions regarding the length and focus of the writing session or sessions. Other instructions may include writing in a stream-of-consciousness fashion, without censorship or concern about grammar or style. It is advisable that journal therapy be conducted only by a licensed health professional, such as a certified art therapy practitioner or trained psychologist or psychiatrist. While journal writing classes available to the general public may perform a variety of useful functions, these classes are not intended to provide medical therapy. In journal therapy, the participant may, for example, uncover potentially traumatic, repressed, or painful memories. Therefore, a trained health professional may be necessary to supervise the process and treat these symptoms as they arise. There are no known side effects of journal or writing therapy. Therapeutic writing became an increasingly popular topic in the final decades of the twentieth century, not only among trained health care professionals, but also among self-improvement speakers without medical training. Seminars, workshops, and Internet sites purportedly offering therapy though expressive writing sprang up around the nation and gained popular acceptance. Despite the large body of research indicating that writing confers benefits on healthy people, the topic of writing therapy’s affects on diseased individuals has not received a great deal of research attention. Although increasingly used by health care professionals as an adjunct to various therapeutic approaches, the practice has been criticized by some members of the health care community. Some researchers are distrustful of the findings that so much measurable improvement in health status can occur in just a few brief writing sessions. In the United Kingdom, the focus of journal therapy has been on descriptive accounts and psychodynamic explanations for subjective improvements in the health status of participants. In the United States, on the other hand, the focus is on formal scientific research aimed at validating the impact of brief, highly standardized writing exercises on physical measures of illness. The research demonstrates that although physical measures of illness may change, the reasons for the change are not always clear. In the United States, one study on the effects of writing about stressful experiences on symptom reduction in patients with asthma or rheumatoid arthritis found that after four months of writing therapy—in conjunction with standard pharmacotherapy—nearly half the patients enrolled in the study experienced clinically relevant improvement. A growing number of studies have documented symptom improvement in patients with psychiatric disorders as well, suggesting that addressing patients’ psychological needs produces both psychological and physical health benefits.